R&H Theatricals Europe, a division of Rodgers & Hammerstein: An Imagem Company, has released a student version of THE SOUND OF MUSIC, it was announced today in our sister office in New York by Rodgers & Hammerstein President Ted Chapin. This new theatrical property is part of R&H’s G2K…Getting to Know Collection. Applications are being accepted from 1 December 2013, with materials shipping in mid March 2014. All schools and youth organisations wishing to peruse or perform should contact us at theatricals@rnh.com or +44 (0)20 7054 7287 for more information. The hour-long musical was adapted for young performers by iTheatrics under the supervision of its founder and CEO, Timothy Allen McDonald. iTheatrics is collaborating with Rodgers & Hammerstein to completely reimagine the entire Getting to Know Collection. 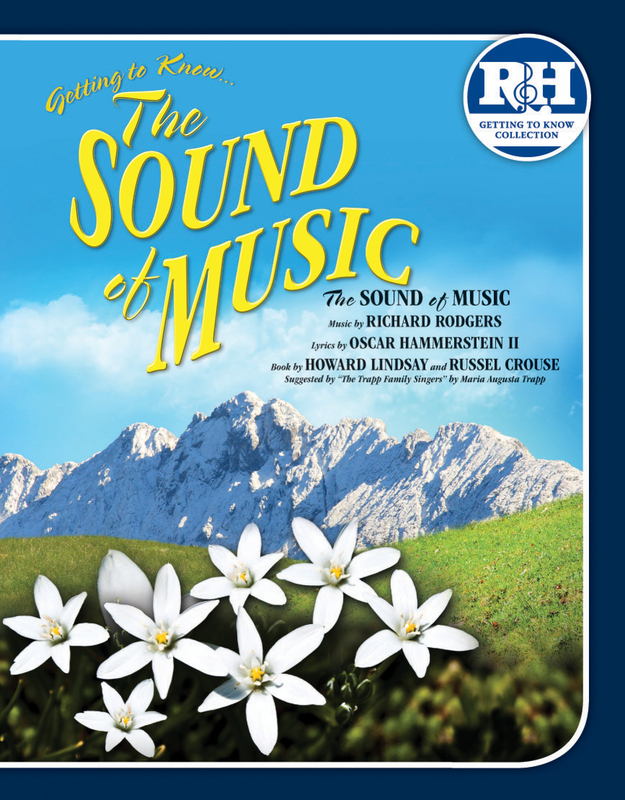 Getting to Know… THE SOUND OF MUSIC, will be the first title to feature the new materials. R&H Theatricals selected iTheatrics to create the student version of the show as well as accompanying support resources for educators – which are designed to make sure that anyone, anywhere has the tools and information necessary to successfully stage a musical production with students. These resources include a Production Guide for directors, a Vocal Recording for rehearsal, a recording of the Accompaniment Music and a Choreography and Staging DVD, which takes directors step-by-step through the process of creating and staging musical numbers. In an industry-wide first, the Getting to Know… THE SOUND OF MUSIC Production Pack will include a downloadable Rehearsal Ready Pack, which will provide teachers the ability to download key components like the Production Guide and Vocal Tracks prior to receiving their physical Production Pack. Getting to Know… THE SOUND OF MUSIC is adapted from the musical THE SOUND OF MUSIC, featuring music by Richard Rodgers, lyrics by Oscar Hammerstein II, and a book by Howard Lindsay and Russel Crouse, which was based on the book "The Story of the Trapp Family Singers" by Maria Augusta Trapp. The 1965 motion picture version of the show, starring Julie Andrews and Christopher Plummer and directed by Robert Wise, remains the most popular movie musical of all time. The film earned five Academy Awards, including Best Picture, and has been included in the National Film Registry. On December 5th, 2013 NBC in the USA will broadcast a live production of the stage musical starring six time Grammy Award winner and American Idol alum, Carrie Underwood. As the theatrical licensing division of Rodgers & Hammerstein: An Imagem Company, R&H Theatricals serves both our customers -- representing over 50,000 theatre organisations worldwide -- and the copyright owners, comprised of the authors and rights holders of our musicals. Our New York based office is joined by R&H Theatricals Europe, based in London, which serves the British and European market. Together, we are the liaison between those who own the musicals we control and those who wish to present them. On behalf of the copyright owners, we issue performance licenses to our customers granting the live stage production rights. 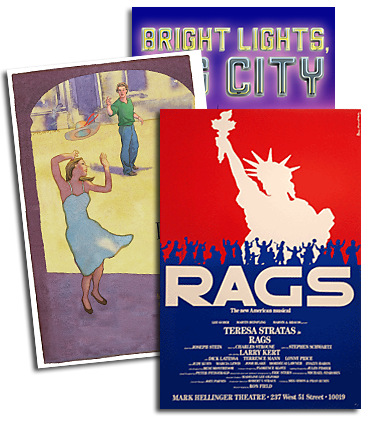 We also provide, on a rental basis, the authorised printed materials required to rehearse and present these musicals. Our extremely wide range of customers includes elementary, middle and high schools; Broadway, West End and European producers, summer stock and dinner theatres; colleges and universities; regional theatres and opera companies; community, civic and religious organisations; youth theatres, cruise ships, casinos, hotels and producers of touring, Fringe and Off-Broadway productions. In addition to being served by our New York and London offices our catalogue of musicals is represented by agents around the world. As you can see, our customers encompass anyone and everyone who desires, anywhere in the world, to experience and share the joy of live musical theatre. R&H Theatricals and R&H Theatricals Europe are divisions of Rodgers & Hammerstein: An Imagem Company: www.rnh.com. Founded in 2006 by educator and author Timothy Allen McDonald, and headquartered in New York City, iTheatrics is the world’s leading authority on musical theatre for young people. iTheatrics develops three separate collections of musicals for leading musical theatre licensing agencies including the Getting to Know Collection® (R&H Theatricals); the Young Performers’ Edition of musicals (Tams-Witmark Music Library); and MTI’s Broadway Junior Collection® and School Edition musicals (Music Theatre International and Disney Theatrical Group). Working with esteemed partners such as the President’s Committee on Arts and the Humanities, New York City’s Department of Education, The Kennedy Center for the Performing Arts, McGraw-Hill Education and NBC Universal, iTheatrics develops and implements dynamic programs to build cost-effective and sustainable musical theatre programs in under-served schools. As arts advocates, iTheatrics’ annual Musicals in Our Schools Week shines a spotlight on the importance of musical theatre programs in schools while the annual Junior Theatre Festival, both US-based, has become the world’s largest festival exclusively dedicated to celebrating young people and student-driven musical theatre. Find out how you can make the world a better place - one musical at a time - at iTheatrics.com. I tried to order a perusal for Sound of Music G2K online but none was available. Do you have a perusal available?